Democratic House candidate Kara Eastman participates in a 4th of July parade in Ralston, Neb. 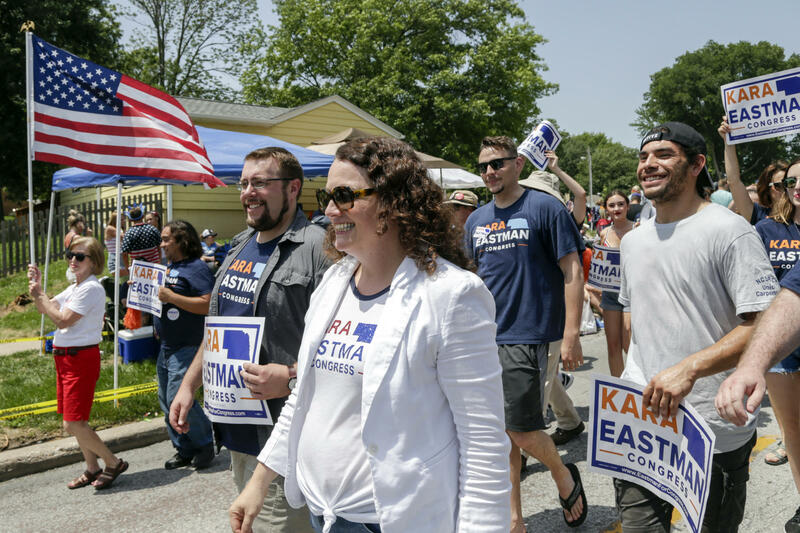 Women Democratic House candidates like Eastman are generally being significantly outraised by their male Democratic counterparts. Angie Craig a Democrat running in a House district outside of the Twin Cities, is getting fundraising help from a network of donors who give to Rep. Katherine Clark, D-Mass. In Nebraska's 2nd Congressional District, first-time Democratic candidate Kara Eastman reported raising $783,953 in her most recent filing June 30. Republican incumbent Don Bacon had raised $1.8 million. "I mean look, we anticipate that we will be outspent in this race," said Eastman, a social worker and nonprofit executive who won the party primary in an upset. The district includes Omaha and its suburbs — a single media market, which saves candidates many thousands of dollars for TV advertising. Eastman's fundraising was still below the million-dollar mark at her latest disclosure deadline, June 30. Small donors — those who gave $200 or less — account for 44 percent of her funds. Conversely, Bacon raised 44 percent of his money from political action committees, which gave just 5 percent of Eastman's funds. "We continue to raise money. 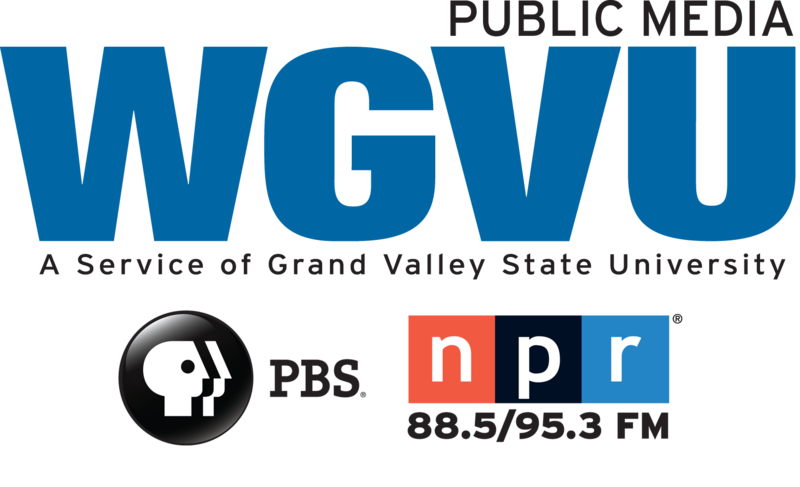 Actually over 90 percent of my money has come from individuals," Eastman told NPR. The small-dollar contributions are "something I'm really proud of." If the lopsided fundraising numbers for women candidates are a surprise, it's only because the numbers of women candidates have surged this year. "For the last 20 years for sure they just have always trailed behind," said Taryn Rosenkranz, founder of New Blue Digital Strategies, a liberal consulting firm in Washington, D.C., "and I'm sure it's for the last 100, or however long we've been tracking financial contributions." "Men giving money to politics tend to give more money than women," said Kira Sanbonmatsu, senior scholar at Rutgers University's Center for American Women and Politics. In the long run, she said, "Women have not had that same giving tradition in politics." But a new tradition is emerging. EMILY's List, founded in 1985 to elect pro-abortion rights Democratic women, now claims 5 million supporters. Its various affiliated committees have raised $91 million this election cycle. Clark said the network was there for her five years ago: "When I ran for Congress back in 2013, I had the exceedingly rare donors that were majority women." So now, with a safe seat, she's sharing the donors with other Democratic women. "What I have tried to do in this effort to flip the House and elect more women to Congress is tap that network of donors," she said. You have probably heard about the stubborn pay gap that persists between men and women. Well, a similar kind of disparity is playing in House campaigns all around the country. In the 67 House races that will determine which party has the majority next year, just over half of the Democratic candidates are women. And an NPR analysis finds a fundraising gap affecting those Democratic women. But they're working to overcome it, as NPR's Peter Overby reports. KARA EASTMAN: We continue to raise money. Actually over 90 percent of my donations have come from individuals. OVERBY: Eastman has gotten nearly half her money, 44 percent, in small contributions of $200 or less. EASTMAN: And that's something I'm really proud of. OVERBY: Her opponent is a one-term Republican with close ties to business and business PACs. He's raised more than twice as much as she has. EASTMAN: I mean, look; we anticipate that we will be outspent in this race. OVERBY: Eastman is among the 67 Democrats running in competitive districts as rated by the nonpartisan Cook Political Report. Thirty-four of the Democrats are women. NPR analyzed the campaign finance reports and found that on average the Democratic men are raising a half million dollars more than the women. Taryn Rosenkranz wasn't surprised. She's the founder of a digital media consulting firm in Washington. TARYN ROSENKRANZ: For the last 20 years for sure, they just have always trailed behind, and I'm sure it's for the last hundred years or however long we've been tracking financial contributions. OVERBY: There are structural reasons for the fundraising gap. Women earn less than men, and they're less wealthy. These factors perpetuate the gap, said Kira Sanbonmatsu, senior scholar at Rutgers University's Center for American Women and Politics. KIRA SANBONMATSU: Men giving money to politics tend to give more money than women, and so women have not had that same giving tradition in politics. 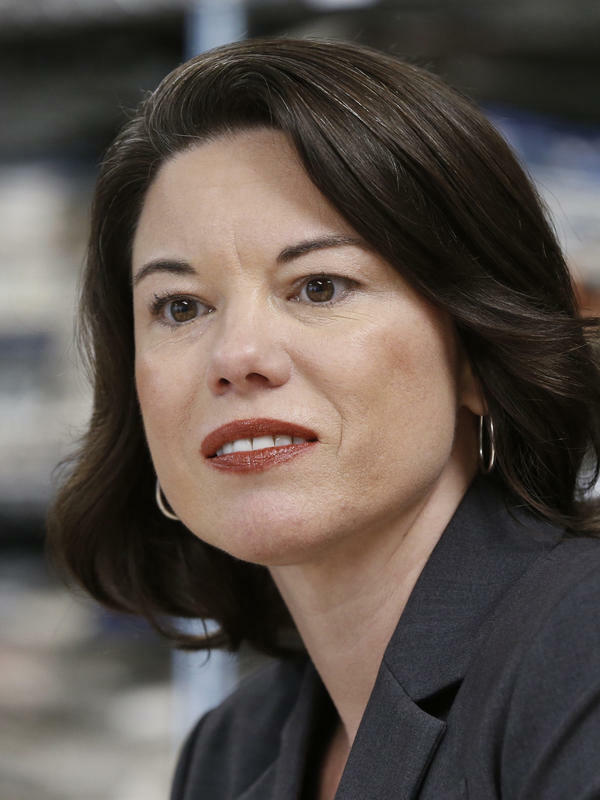 OVERBY: One remedy is to build networks, big ones like EMILY's List, which supports pro-choice Democratic women, and smaller networks, such as the one in Massachusetts that's helping Angie Craig in Minnesota. Like a lot of candidates, Craig raises most of her money from Democrats in other states. ANGIE CRAIG: They realize there's no way that their congressmen can do the work for them unless we have the majority in the House of Representatives. OVERBY: This is where Katherine Clark comes in. She's a congresswoman in Massachusetts. KATHERINE CLARK: When I ran for Congress back in 2013, I had the exceedingly rare donors that were majority women. OVERBY: And now Clark said she's sharing these donors with other Democratic women. CLARK: What I have tried to do in this effort to flip the House and elect more women to Congress is tap that network of donors. OVERBY: The fundraising picture will become clearer and maybe brighter for the Democratic women when the next reports are filed in mid-October. Peter Overby, NPR News, Washington. Transcript provided by NPR, Copyright NPR.